The darkness had nearly devoured him and taken all he was. He thanked the gods every day for saving him, for giving him a second chance. But part of him wished they had let him die as punishment. 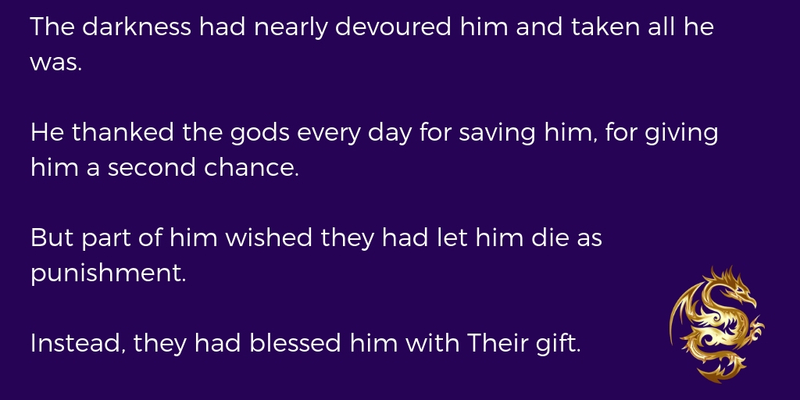 Instead, they had blessed him with Their gift.